When the weather warms up, our backyard becomes our refuge. 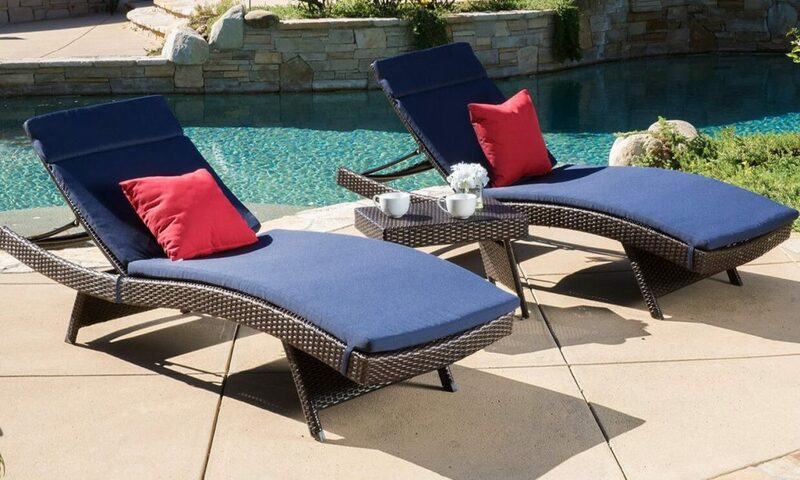 There’s no better place to relax than a well-furnished patio or pool deck. 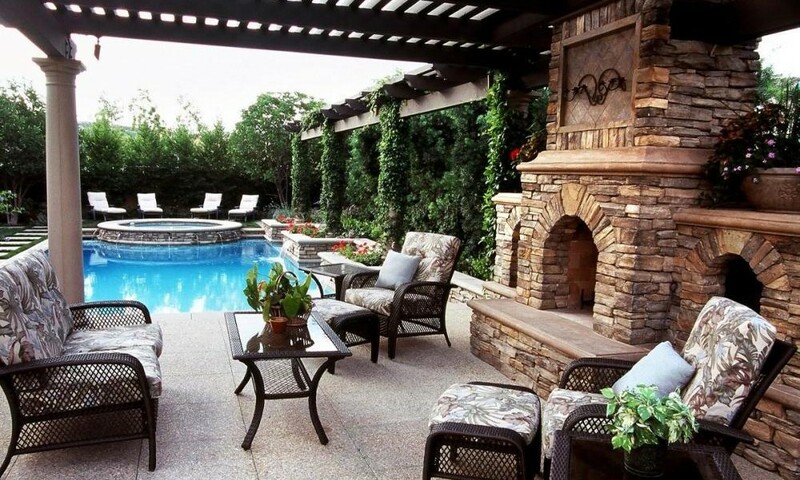 Many people want larger, complete furniture sets to give their outdoor area a finished look rather than single pieces. Typically, they want to outfit their backyards as they would their living rooms – complete with chaise loungers, end tables, etc. Pool area furnishings can be made of any materials, but cypress and cedar are popular choices. Both cypress and cedar are durable to the elements as well as provide an attractive, matchable color that looks good for a number of years. To provide shade to the area, umbrellas and awnings are great options. 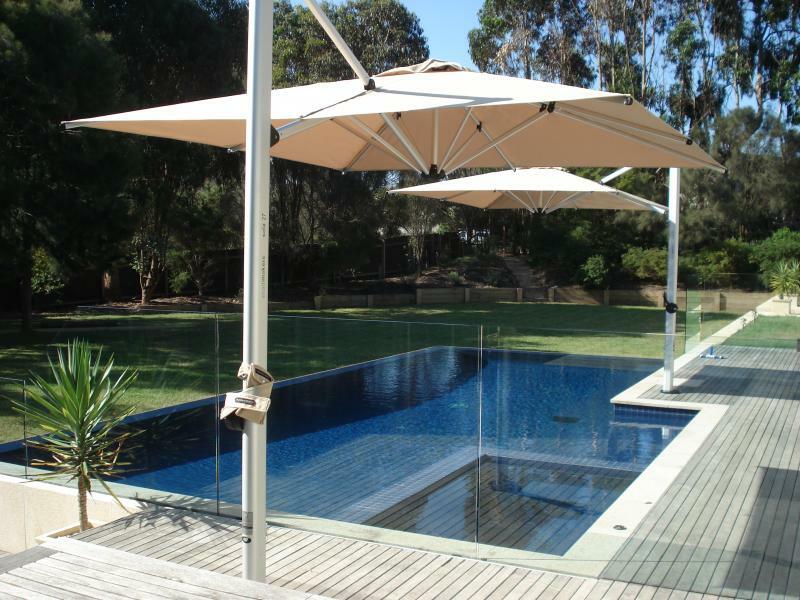 Most patio umbrellas range in size from a standard 7.5 feet to custom-made models that span up to 13 feet in diameter. Awnings can cover a wide gamut: small enough to shade a bathroom window or large enough to cover the entire rear of a home. With this in mind, also consider factors such as fabric, UV protection, durability, size and price in your buying decision. Pay as much attention to the care of your purchase as you would to the quality of your purchase. Manufacturers do what technology and cost permit to make products carefree, but they still will need proper care, like storage in bad weather or an occasional cleaning. Traditional warranties on umbrellas are one year; awning warranties are generally longer, depending on the type that you buy. To add a fresh look to your backyard or poolscape don’t worry about tackling the entire outdoor space or spending big bucks. You can make a major impact with just a few changes! These days pretty much everything indoors has worked its way outdoors, and that does mean everything, including lamps, rugs, wall hangings, cushions, draperies and throws. Woven designs, colored fabrics and innovative textures have been technologically developed and improved through the years. They are extremely durable, weather-resistant and functional, and now come in enough style choices to complement any existing décor. Lighting can also completely change the look of an area. In addition to traditional lamp styles, attractive lanterns, path lighting, uplights, downlights and appropriately placed spotlights illuminate the way to an updated area.